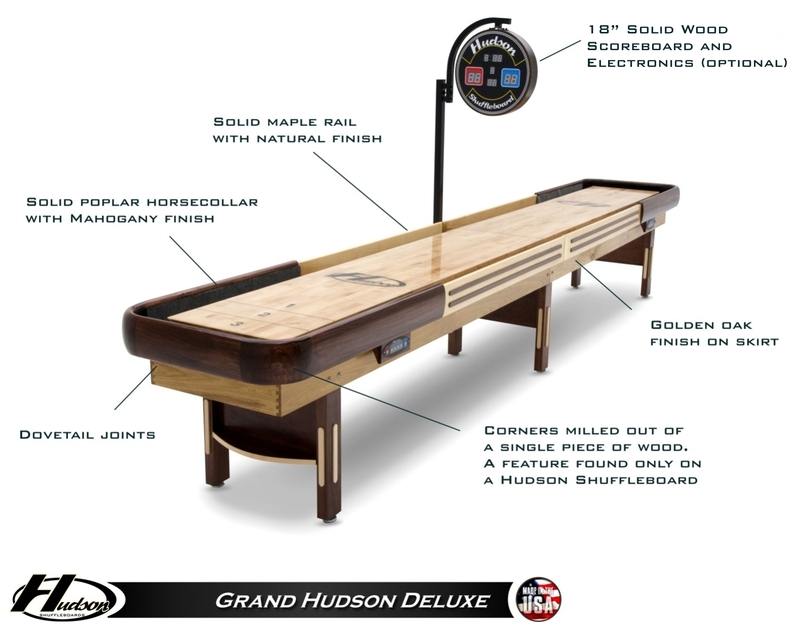 22′ Grand Hudson Deluxe Shuffleboard Table – lowest price guarantee! 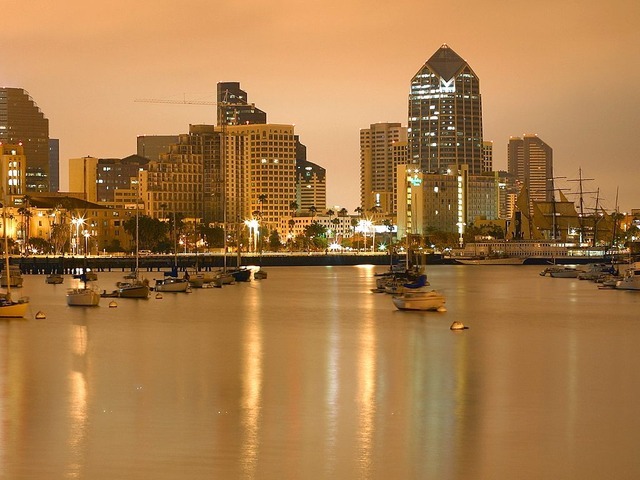 Here in San Diego there is a big emphasis on quality of life and enjoyment. That being said, it is a top spot for night life and social gatherings. There is a good amount of options for anyone looking for a great place to hang out and play some social games like shuffleboard, billiards and foosball. We thought it would be a great idea to compile a list of our favorite places with shuffleboard tables in San Diego for anyone else out there to take a look at and enjoy with us! You can also find a brief overview of what each shuffleboard location has to offer. There are quite a few different area’s of San Diego so we have decided to break down the locations into beach area’s, east county, south bay, gaslamp and more. Whoever says Shuffleboard is not a popular game can take a look at San Diego’s list of establishments that have the game and we’re confident it will change their mind. If you know any others on the list that we may have missed please let us know. This is the most complete listing that we know of but if we can improve we are happy to add your listing. 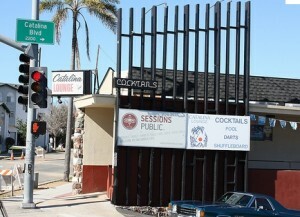 This is a small sports bar on the corner of voltaire and catalina in Ocean Beach. It is a nostalgic old bar with a bunch of pool tables and an official 22 foot shuffleboard table. We love the staff there and think it is a great time. Don’t expect to be sent away for open toed shoes or dress code. This is a local gem where you can get your shuffleboard on as early as 6:00 am or as late as 1:59 am. It has a true beach bar vibe and is a popular spot for the local ocean beach natives. Serves popcorn and cocktails and also has a 22 foot tournament size shuffleboard table with a poured polymer surface. Cass Street Bar & Grill is a great hangout spot in Pacific Beach with a 22 foot official tournament size shuffleboard table. It has great food and cold beer. The crowd in pacific beach is generally a younger demo but at cass street the customers are of all ages and walks of life. There are tv’s for the games a few pool tables and superb food. Gallagher’s is an Irish themed bar that is a great time on the weekends. They offer live music and afterwards a Dj on those nights. However it is often too busy for them to offer shuffleboard at those times. They have a 18 foot table that plays very smoothly and is readily available and free. Tournaments for shuffleboard go on every Monday evening. This is one of the main reasons we recommend Gallaghers as a prime place to play shuffleboard. Any bar can put a table along the side of a wall but when a great joint promotes the game and gets enthusiasts out there to play tournament style, the real fun begins. We love this place. While you will need to be over 21 to enter, it is one of those bars that is very hip without being stuck up. The selection of beer is great and the 22 foot tournament size table is used for regular tournaments. If you get hungry it is connected to the cafe next door with an ordering window next door and a unique menu based on their variety of brews. We love this place. Tipsy crow purchased a few 9 foot tables from us and has 3 floors of entertainment. While the table isn’t the largest, we respect the dedication to the game to find a place to have it. The lower level included live music, the shuffleboard is located on the main floor and upstairs is a relaxed atmosphere. There are always great events going on there and a superb staff. Stop by Shuffleboard.net to get all of your shuffleboard accessories before you head down!